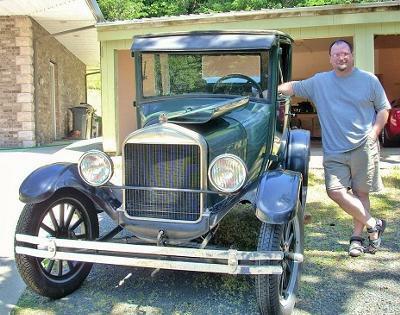 I bought this 'numbers matching' Model T early in 2011 from the second owner who had purchased it from his father-in-law, in 1957. Until last year it was a Philomath, Oregon (USA) car its entire life. It now resides in my stable about 35 miles south of its original home. It has been repainted once and that was in the 1960s - going on 50 years ago! I've wanted one since I was a kid and now that I have one, I can attest to one thing - I waited far too long to make it a reality.